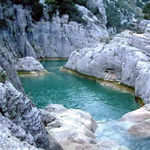 The limestone rocks of the Garrigue open onto the Lamalou Canyon, tributary of the Hérault. Hiking gives access to the narrow cave set up among the rocks threaded by time, where beautiful natural stone arches, while giants kettles and "gours" abound can be gazed at. From Brissac to Pont-du-Diable, the Hérault goes runs through the prettiest part of its journey, rich in striking natural and architectural elements. Swimming and canoeing are the two main activities on the river during summer. The peak is majestically high at 700m. famous for its geology and the many botanic and wildlife pathways along it. 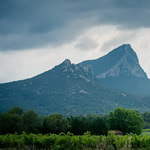 Those willing to climb up on the south side are rewarded with fantastic views stretching from the Cevennes to the sea, from Mont Ventoux and the Alpilles to the Caroux Massif. This cliff dug out of the the Thaurac plateau houses a sumptuous setting whose proportions and stone filigree are breathtaking; its incredible concretion transforms it into an underground cathedral. There is a cable car to the cave so allow everyone can reach it. 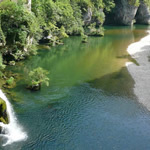 The Vis River eroded the limestone Larzac plateau and sculpted this fantastic canyon, listed as a "natural Grand Site de France". 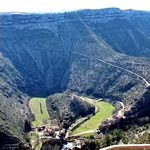 Located at the heart of the canyon in the middle of a lush haven, the village of Navacelles -stands in a remotemeander, overlooked by staggering limestone cliffs. 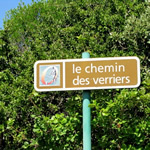 You can explore the dolmens, menhirs and monoliths dating back to the Neolithic period on the Causses. A village full of character with its narrow winding streets, and 14th century battlements. Its 12th century romanesque church has a clover-shaped layout from the first Romanesque art of the Languedoc enshrined in a medieval cloister, lined with magnificent facades. A village dating from back 4500 years. See how excavation work is progressing on the site : archaeological remains from the Bronze Age, as well as a full size reconstruction of a prehistoric house where you can learn about our distant ancestors’ everyday life. 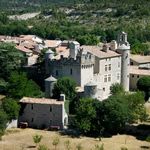 This village is located in the Vallon de Londres and surrounded by ancient battlements containing charming little lanes. The village is classified as one of "superior interest". 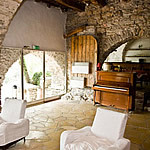 It has a castle which is like a medieval fortification in style (14th -16th centuries). Five centuries of glassmaking on the Causse de l’Hortus come to life in Claret. The artists there transform glass using age-old and contemporary techniques to create the most amazing artworks : glass-blowing, stained glass, thermoforming… which make it a must visit. At the heart of the Gorges de l’Hérault lies this medieval village which is listed as one of the most beautiful in France. Gellone Abbey and its cloister (dating back to the 9th and 11th centuries respectively), are great examples of the first Romanesque art in Languedoc. 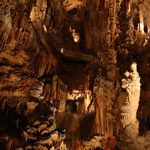 They are now classified as UNESCO World Heritage sites. 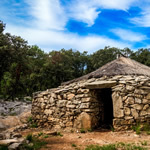 The vine, planted at the heart of the Languedoc is much more than a tradition: it is a culture, even a civilization, which contributes to both the beauty and history of the landscape its people. The vine derives its prehistoric origin from the Greeks who started growing it before it was truly developed by the Romans. 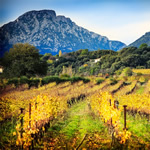 This is why there are symbols of the wine culture everywhere : in the landscape shaped by tremendous vineyards, in the villages’ architecture with their huge winegrowers’ houses, in the ancient abbeys and castles, in our festivals and literature. Traditional and modern recipes are based on excellent products from the sea and land: fishes and shellfishes, meats, fruits and vegetables ripened under the great Southern sun, olive oil, tapenade, pélardons cheeses, honeys and mead ans so much more … all made with olive oil, garlic and basil, this type of cuisine is usually spiced up with aromatic herbs picked from the scrubland : thyme, rosemary, bay leaves, savory etc… Traditional markets: every Fridays in Gange and every Saturdays in Sommières. 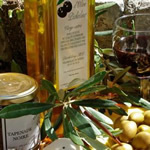 The summer evening market takes place on Thursdays in Nîmes and on Wednesdays in Vigan. Centuries-old legends and traditions have given us a strong desire to keep them alive in our region's festival. May : stunning Earth celebrations occur in Viols-le-Fort.